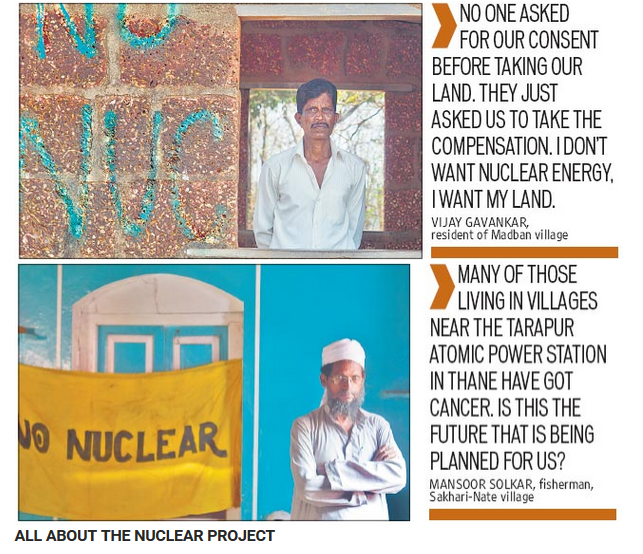 Almost a billion Indians now face the fearsome prospect of living under the shadow of an Indian nuclear lust. The Indian Nuclear Power Industry remains shrouded in secrecy and opacity refusing to reveal details on safety. Following the nuclear diplomacy of India, one of the crowning achievements by Government of India was the pact with USA which showered out India from the list of nuclear pariahs allowing full access to nuclear technology and materials without signing Non-Proliferation Treaty (NPT). 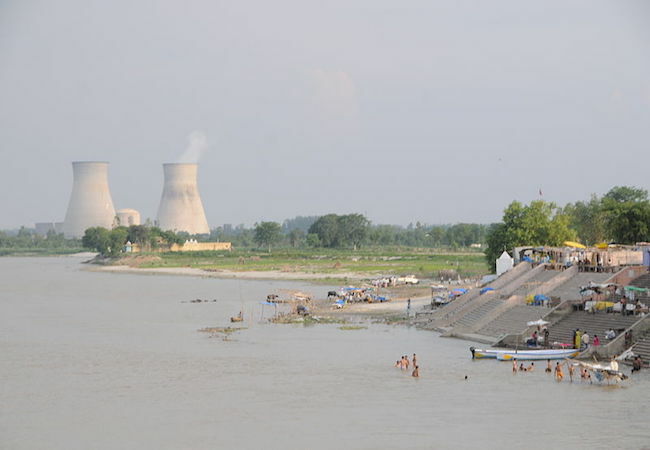 The nuclear power generation is controlled by a government entity Nuclear Power Corporation of India Limited (NPCIL) which remains cloaked in secrecy. Details about leakages and accidents are not forthcoming and not transparent. However, the Indian establishment is pushing ahead with nuclear energy where chronically inadequate management continues to dog the program. Around the world, safety concerns surrounding nuclear power have intensified as a result of Fukushima. Operating nuclear power plants requires sophisticated technical, industrial, institutional, and legal capacities. Even the most advanced countries can struggle to manage nuclear power when things go wrong. Also, important piece of evidence about past events remain classified; thereby empirical analysis on nuclear safety organizational designs and strategies is circumscribed. This can also be assessed on the basis of nuclear history that has witnessed three severe nuclear accidents such as Three Mile Island, Chernobyl and Fukushima Diachii. Following the accident at the Fukushima Daiichi Nuclear Power Station, one might have expected nuclear power to lose much of its appeal. But in many developing countries, India among them, the desire for nuclear power has remained strong among officials, even if public may harbor deep concerns about governmental inability to operate nuclear facilities. This is music to the ears of the global nuclear establishment. Concerns about nuclear power are prevalent in every country where the technology exists or is being developed. Whereas, India with abysmal records in disaster management has simply shrugged off, the Fukushima experience. It is a national catastrophe. India plans a large expansion of power from nuclear energy over the next few decades. Many reactors and other facilities associated with the nuclear fuel cycle, and operated by the country’s Department of Atomic Energy (DAE) and its subsidiary organizations, have had accidents of varying severity. The DAE also does not appear to be learning the appropriate lessons, and this is demonstrated through repeated failures at different sites of nuclear power plants in India. The absurdity is further demonstrated where numerous incidents of fires and structural damages have occurred in India’s civilian nuclear power sector and there may be many other accidents that we do not know about. Under the circumstances other examples of oil leaks, hydrogen leaks, fires and high bearing vibrations have often shut plants, and sometimes not. Taking into account all these scenarios, the probability of a serious accident still lingers around the nuclear industry of India. Inevitably, there is a price to be paid for such bull headedness where the government’s response to past disasters has often been poor. A simple question that still needs to be worried about is: What if such an accident like Fukushima and Bhopal Gas Tragedy were to occur? How well would the machinery of the state respond? There exists not a single answer for these fatal actions, and I don’t intend to provide one. On this count, there is ample reason to worry about. The story is one of ignorance, lack of adequate regulation, and finally a total breakdown of institutional responsibility within the Indian republic. They are consuming and bathing in nuclear poison. In India, seeing their behavior of having numerous deals going around the government seems to have abdicated its responsibility to effectively regulate the civil nuclear industry to safeguard the people. As wisely said, Governments in the developing world must establish good systems for nuclear governance if they are to avoid controversy and maximize their chances to operate nuclear power safely. The foundations of nuclear governance include least three things: transparency, accountability, and trust.